Help your cat reduce hairballs & maintain a healthy digestive system by providing access to chemical free organic, fresh oat grass. Organic oat garden kit sprouts oat grass in days, just add water & provide light. Van Ness Oat Garden Kit includes fast growing seeds and natural peat moss so you can easily grow a fresh treat for your cat right in your own home. Oat grass is proven to help freshen cats’ breath as well as to alleviate digestive problems associated with hairballs. 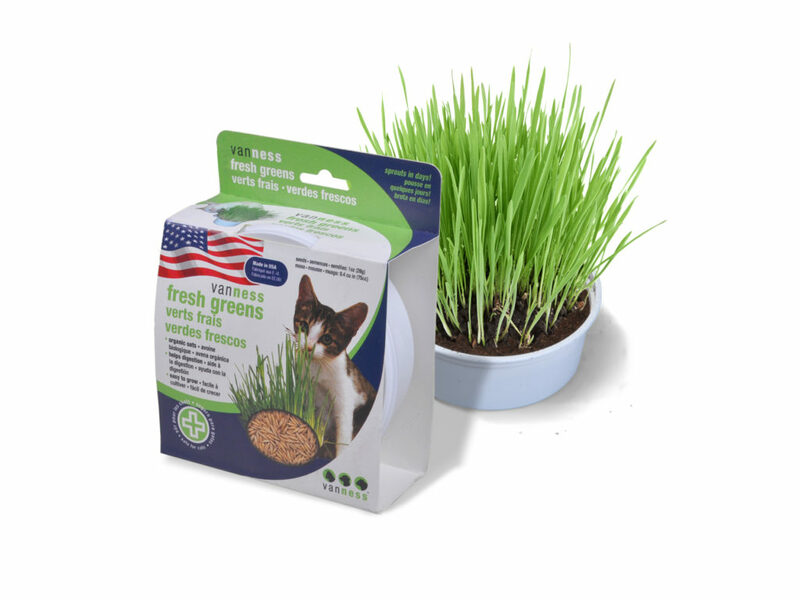 The Van Ness Oat Garden Kit comes with 4 ounces of seeds, providing your cat with a 1-month supply of sweet oat grass – helping to keep her out of your houseplants! Made in the USA.